Looking to channel your inner Elsa? 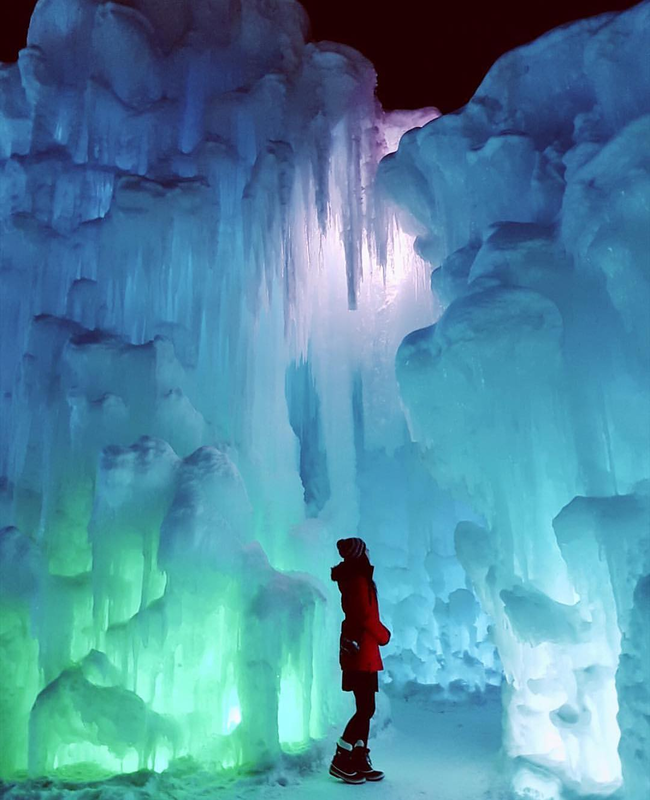 You need to make a trip up to NH which is home to one of six ice castles in North America. This year’s towering castle is estimated to weigh more than 20 million pounds and will feature tunnels, thrones, fountains, slides and LED lights. Tickets are now on sale. For more information visit their website, icecastles.com/new-hampshire. Planning a visit and need directions? Click here. The 2019 ice castle is a few miles away from where it has been the past five years and is located on Clark Farm Road in North Woodstock, NH. This year for the first time, visitors to Ice Castles can buy tickets for horse-drawn sleigh rides.